More and more, credit card processing services are offering both on and offline services to help process credit card transactions. Not only is eCommerce expanding at a rapid rate, especially as more shoppers become familiar with using their credit cards at websites outside of the major players, but it’s also simple and easy. It’s much faster to compare prices too. 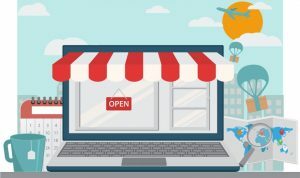 Here are some of the reasons why more shop owners are beginning to rely on their eCommerce storefronts as a major source of income for the business. In the real world, you need someone on staff to accept credit cards. On the Web, you can be open 24/7 and reliably process multiple sales from around the country. Some businesses even sell at the international level, catering to customers who are continents away. Of course, you’ll need proper logistics to get the products out to customers if you plan to pursue online as a serious strategy. Work on making shipping affordable, and you’ll soon find many using your service on and offline. Customers usually need to enter some verifiable information to both complete the purchase and receive a receipt for their order. When you accept credit cards online, you also have the opportunity to hook customers into your email list. Make sure you’re doing so ethically, by asking them to opt into the list (preferably twice), but email lists can be valuable sales tools. Another major change is both affordability, and ease of implementation, for this technology. Today, it’s common for merchants to utilize phone support in order to setup the POS system at a store. That cuts development costs and reduces time spent setting up the system. Charge.com Payment Solutions, Inc. is a merchant provider to help businesses accept credit cards online.